One of the many volunteer opportunities you will have a Center State Youth Hockey will be serving as an off-ice official during your players games form time to time. This may be serving as the score keeper, running the game clock or serving in a penalty box. Training is provided if you require it and the documents below outline the official rules for members in these positions. Enter the time for each period and whether run or stop time. Enter the date the game is played. Enter “Morrisville IcePlex" in the Rink field. Enter the Age Classification of the team (Squirt, Pee Wee, etc. or 10U, 12U, etc.). Enter the game number if applicable (normally for league games). Write "Center State" next to “Home” on the score sheet. Write the visiting team next to “Visitor” on the score sheet. Complete player names on the home team side of the sheet or affix stickers on all 3 pages of the score sheet. Players should be listed in order alphabetically. Complete the coach information listing the head coach first. Score sheet must include the CEP#, level, and date the level expires. All coaches must sign the score sheet prior to the game. Give the score sheet to the visiting team manager to complete their player roster and coach information. goaltender does not protect the goal. A shot which is deflected, batted away or otherwise prevented from entering the goal is a shot on goal only if that shot would have entered the goal had it not been for the goaltenders save. If that shot would not have entered the goal had the goaltender not interfered with the shot, it is not a shot on goal. Goals count as shots on goal. Each shot is documented on the score sheet by placing a slash through the numbers (1-36) on the bottom of the form. The home team shots should be documented on the home team side of the form. The visitor shots should be documented on the visitor side of the form. A vertical line should be drawn on the form after the last shot of each period. This helps determine how many shots occurred for each period. Summarize the goals scored for each period in the “Goal Summary” section at the bottom of the form. Summarize the number of saves the goalie made per period in the “Goalie Saves” section at the bottom of the form. Total the number of minutes at the end of the game including overtime if applicable. Total the number of goals scored and number of saves per period. 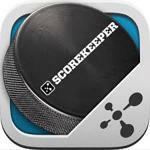 The Scorekeeper, Timekeeper, and Referees must print and sign their names in the designated field. NO changes can be made to the score sheet once the referees have signed the sheet.